With over 4 million active installs, Woocommerce is one of the best ecommerce solutions for any retail business, whether if you sell physical products or digital/virtual products. If you have been exploring solutions to build an ecommerce website, stop searching. In this article, the Woocommerce platform is explained and why it’s a valuable solution for your business. In case you have any doubts, feel free to reach out and we’ll be more than happy to clarify. There are plenty of free and open-source solutions however Woocommerce is packed with out of the box features to facilitate your online website setup, making Woocommerce an ideal solution for ecommerce. Keep in mind, open-source means you can customize as you please as well. For those on budget limits and who want to use the build-in functionalities, Woocommerce is the ideal choice. Woocommerce is audited by the Sucuri company, one of the leaders in cybersecurity. This makes it safe to use and assures store owners of their website safety. Therefore, the platform is using best-practices in coding as well as providing constant plugin updates and security patches. As WordPress is the most popular CMS in the world at the moment, it is prized for its user-friendly interface. So when Woocommerce is installed on the WP platform, you can guess it’s easy to work with and manage. Even the setup is easy and can be done quickly. The user-interface is compatible in many WP themes and the storefront is familiar to online shoppers including categorized shop with sort and filter features. Considering that it has a vast range of third party plugins, you can easily expand your functionality and online store business. WooCommerce Social Media Share Buttons allow you to add social media icons to share your products in social media to get it in your product pages, shop pages, with just a short code. 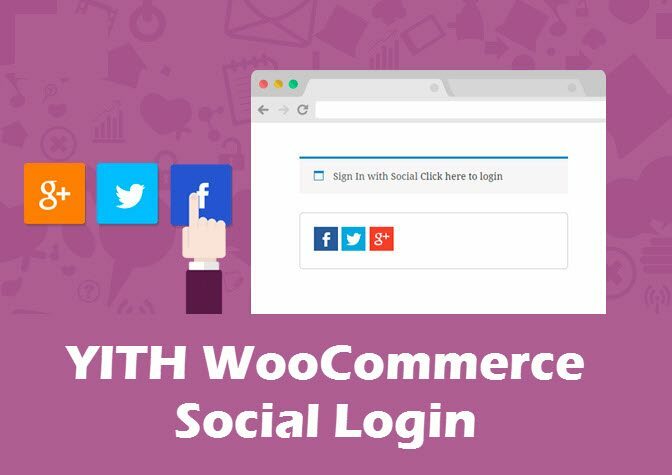 The YITH WooCommerce Social Login will enable social media login functionality for those who prefer to login with social media instead of registering from scratch on your forms. Users can login with Twitter, Facebook, and Google Plus. Unlike other ecommerce platforms that provide the website and store for you (such as Bigcommerce or Shopify), and you only use their platform to add on your products, Woocommerce is installed directly on your WP website, making you the full owner of your store. Working seamlessly with WP, you can add on your product and shop within your website pages, and analyse your backend sales and reports, without any third party supplier. Upon install of Woocommerce, you’ll notice it comes with Cash on Delivery, Cheque Payment, Direct Bank Transfer and PayPal (which also allows credit card payments). You can enable/disable any and configure it to your need. Not to mention that Woocmmerce also has currency support and geolocation support based on your store location and customer address. Woocommerce has a feature-rich backend, including product reviews, coupons, product discounts (by percentage or discount). It allows product categorization, independent attributes, and allowing of physical, virtual and downloadable products. You can manage your inventory, tax settings, sales reports as a professional online store. To make it better, there are hundreds of add-ons (free and paid) which will add further functionality for payment gateways, reporting, sales, follow up emails, marketing and more.